1. We identify small to mid-cap stocks or ETF Positions ( 2x/3x Bull or Bear) ripe for a move to the upside using our pattern recognition variables, fundamentals, and low-risk entry points. Various sectors are covered for diversification. We tend to look for oversold parameters in order to reduce entry risk at the time of our Alert. 2. We use a “Tranche Buying” methodology for Core Positions and sometimes for Active Trades where we recommend 1/4, 1/3, or 1/2 of position buying over various intervals. ATP believes that small-cap stocks are extremely volatile, often having nothing to do with the fundamentals at all. Therefore, we purposely split up our buying into a new Core Position into tranches often over a few weeks time. We wait for the opportune pullbacks and then send an Email alert and Web Post to give the specific buy or sell advice to our Partners. This allows us to smooth our buying averages and get a better low-cost entry into a growth stock we like. 3. We hold Core Positions usually from 1-3 months, sometimes longer depending on the movement after our entry points. We will advise on stop losses and when to abandon a position if need be, as well as take profits. 4. We trim our positions and plant money into new positions while riding the original positions for bigger profits when warranted. 5. We give regular buy on dip advice using proprietary Fibonacci and Elliott wave pattern recognition. This allows our Partners to take full advantage of volatility in the positions we are holding for gains while lowering our average cost at the same time. We will send out alerts when we think its a time to add to an existing position on weakness. 6. We maintain 3-6 Core Positions on average in our Core Portfolio, we delete and/or add new positions when warranted, and regular intra-day advisories and updates on all positions occur throughout each week. This is in addition to our Active Short-Term Trades, which we hold for only 3-30 days for quick profits. 7. 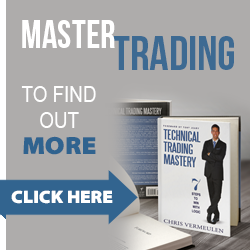 Our methodology is to Trim winning positions to book profits, plant money into new positions for new profits, and also trade into and out of existing positions for profits. Our pattern recognition abilities allow us to consistently extract more profit from positions than typical buy and hold investing, or quick trade investing. Stocks make huge moves in short time frames, and we try to identify those about to move, and then hold for the period of time we think is appropriate to extract the most profits. 8. The combination of proprietary crowd behavior based technical analysis patterns, combined with our excellent research and timeliness, allows us to consistently outperform the market indices with equal or lower risk. 9. We also provide the occasional Active Trade or Scalp Trade using ETF’s or Stocks as part of our hybrid service for shorter term trade holding periods (3-30 days) and potential for fast profits. This is in our Active Trades tab on the Partners website.